Χάρη στην ποιοτική διαμονή και την άριστη εξυπηρέτηση του Seoul Lucky Guest House Hanok, στην επίσκεψή σας σε Σεούλ θα νιώσετε σαν στο σπίτι σας. Μόνο 55km μακριά, αυτό το 2 αστέρων ξενοδοχείο είναι εύκολα προσβάσιμο από το αεροδρόμιο. Με την βολική του τοποθεσία, το ξενοδοχείο προσφέρει εύκολη πρόσβαση στους προορισμούς της πόλης που πρέπει οπωσδήποτε να δείτε. 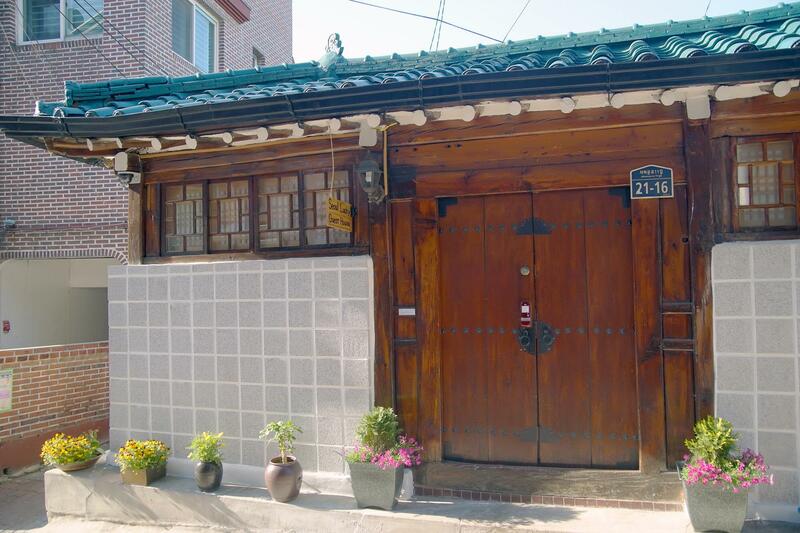 Στο Seoul Lucky Guest House Hanok, η άψογη εξυπηρέτηση και οι ανώτερες εγκαταστάσεις συντελούν ώστε η διαμονή εκεί να σας μείνει αξέχαστη. Οι πελάτες του ξενοδοχείου μπορούν να απολαύσουν υπέροχες δραστηριότητες όπως τα δωρεάν WiFi σε όλα τα δωμάτια, αυτόματο πλυντήριο, κουζίνα, γρήγορο check-in/check-out, φύλαξη αποσκευών. Όλα τα καταλύματα διαθέτουν τις απαραίτητες ανέσεις για να εξασφαλιστεί μια ασυναγώνιστη αίσθηση απόλαυσης. Εξάλλου, το ξενοδοχείο διοργανώνει πολλά ψυχαγωγικά δρώμενα έτσι ώστε να έχετε πολλά πράγματα να κάνετε κατά τη διαμονή σας. 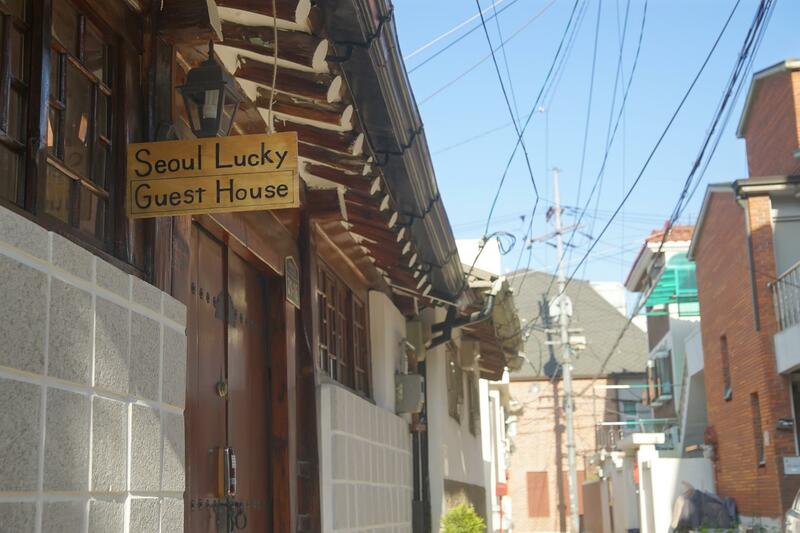 Το Seoul Lucky Guest House Hanok είναι μια έξυπνη επιλογή για τους ταξιδιώτες στη Σεούλ προσφέροντας κάθε φορά μια ήρεμη και ήσυχη διαμονή. 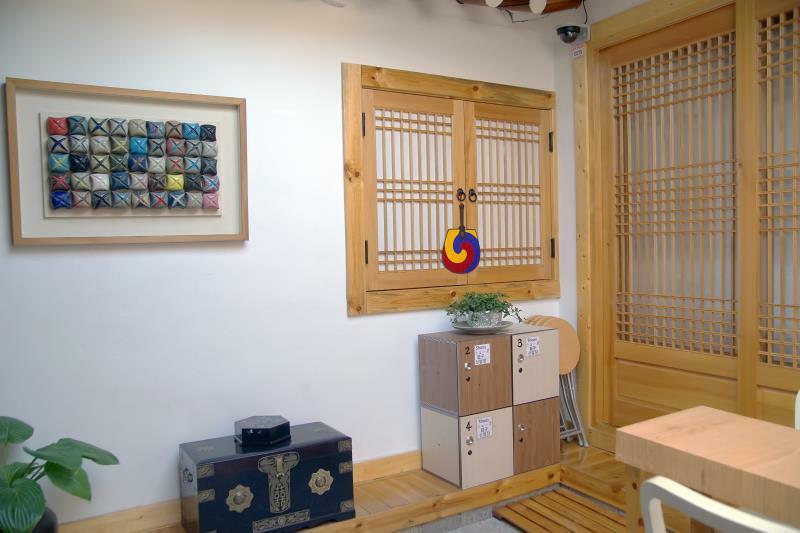 We chose to stay here to experience a hanok stay. Room is small but comfortable, private toilet is a bonus but it's really tiny. Self check in and out and Owner is kind to allow early check in and late check out probably due to low season. Heated floor is comfortable during cold season. Breakfast is toast, egg, coffee and tea. The room is small but very clean, attached bathroom for every rooms. It is close to shops, cafe and restaurants, about 5 minutes walk to train station. The owner Roy is friendly and very responsive to email. He arranged everything in advance and provided all the instructions clearly in email. Very nice & traditional Han House different but good experience. The owner is very accommodating and friendly. The location is just at the back of the local market where all kinds of hot meals and delicacies to bring back to my country can be bought. We did everything by just walking....palace tour....good food....convenient stores even at night,,,,safe place to walk.....near all airport bus stations and trains to go shopping. I felt safe and sleep well during my stay. PROS: Near bus and subway stations (5-7 mins walk). Has lots of restaurants, coffee shops, and convenience stores nearby. Walking distance to Gyeongbokgung Palace. Place is small but clean. Has free breakfast.that you can prepare on your own. Strong wifi. Heated floor is nice but don't expect Korean spa type of heat. CONS: Rooms maybe a bit small for three or more persons. Can become noisy at times when guests arrive. You can hear them move around the house and talk. Great location near a lot of cultural/historical sites The room was very cosy - I went in Early February so it was around -10C. But the room had heating + heated under blanket + heated floors! Roy was extremely helpful and accommodating, I got a little lost on the way and my battery died, but he was very patient and showed me everything once I reached. Had all the facilities I needed, wifi, microwave, kettle, and continental breakfast is provided - also had a washing machine, but I didn't need to use it, I think it was 3000KRW per cycle though and you just put the money in a machine. I would definitely stay here again if the opportunity arose, well worth the money! It was small but cozy place. Roy is a nice host and able to communicate in English. Willing to offer help.won't feel cold during winter coz there's heater in the room. (the temperature was around -6to-10deg.when I was staying in there) But maybe you hv to bring your own shower gel coz there only.provide soap. Many stylish cafe nearby. And even a famous sandwich shop(Issac) that need not to queue up with. Room clean and cozy, guesthouse nearby palace area, friendly host. Thanks Roy for the early check in. We gad a great time at the guesthouse. I love this area and tried several guesthouse. I think this hostel is one of the best, because of its location and accomocation. Althogh small, the room is very clean and confortable. There is a shower and WC in each room. It is quite rare in this type of tradictional inn!! Owner is a kind young man, who e-mailed several times to indicate the way to reach the hostel etc. I'd like to come again may in autumn. A hip, trendy area which is popular with the local, full with restaurants, artisan and galleries. The guesthouse is in the lane which make it a quiet place despise being in the high activities area. Stayed 5 nights in this Hanok guest house and the host is very friendly guy who speaks English. Room space is small but suites my need as a solo traveler who spend most time out of the guest house and only come back for a quiet and peaceful rest. Nested within a lovely neighborhood, not too far away from train station and lots of eateries to choose from nearby. The house was good and location is right on the city that you can easily find anything near but a bit expensive because its within the city. Accessibility is easy, you can find taxi, bus right there. Its the best hanok due to attached bathroom!! Its winter and we won't want any other hanok that requires us to go out in the cold for the bathroom. Heated floor was great. Owner was great. Location was easy to get to. Very nice host. Hard to find at first but not too far from the metro. Modern amenities in traditional setting. Great location in my favorite area of Seoul. Very close to Subway, Tongin market, Gyeongbokgung Palace, Insadong, etc. The building is very newly refurbished and each room has own bathroom. Also staff is so friendly. It is surrounded by many restaurants and trendy milkshakes bars full of young people. Great traditional atmosphere. Easy communication in english. Hope to visit next time again. Seoul Lucky guesthouse is very impressive. 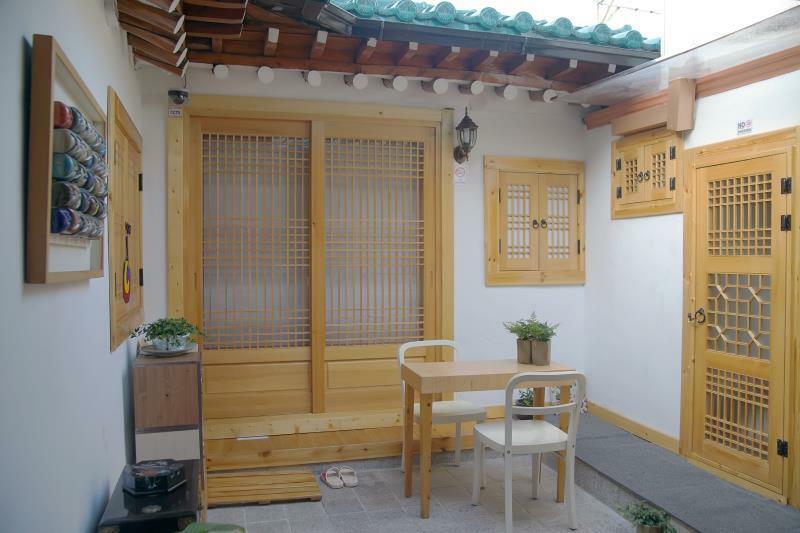 The guesthouse is newly renovated korean tarditional Hanok house. It is clean and cosy. Staying in the house is like a time back to korea in the past. also it's closed to subway Gyeongbokgung station. It's near Gyeongbokgung palace and insa-dong. I could go to many tour place easy. The host is very friendly and polite korean guy. He responded to queries immediately and helped me a lot when I ask everything in Seoul. It was really great experience so that I would love to come back again. Σταθμός Υπόγειου Σιδηρόδρομου Gyeongbokgung (Government Complex-Seoul) στα 0.57 χλμ.